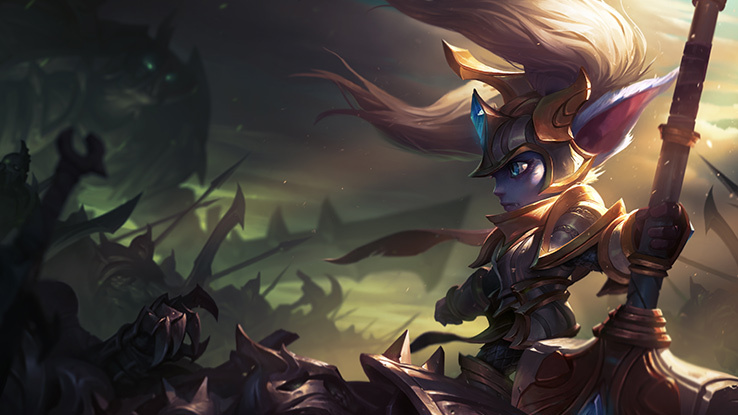 Poppy's champion update is here! Poppy will soon be hitting the PBE with a new kit and a brand new look! "Unfathomable feats of strength. Victory over impossible odds. The hallmarks of a great hero are almost always obvious, especially to the person displaying them. Almost always." 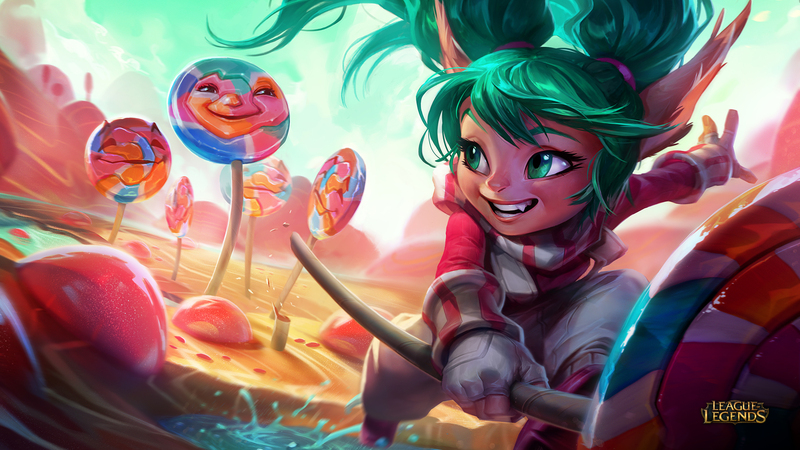 Continue reading for more information, including a preview of Poppy's new visuals, her updated skins & skin splash arts, her brand new abilities, and more! "Unfathomable feats of strength. Victory over impossible odds. The hallmarks of a great hero are almost always obvious, especially to the person displaying them. Almost always. 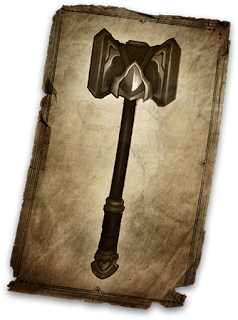 Poppy’s been tasked with delivering a legendary hammer to a hero who will become legend. 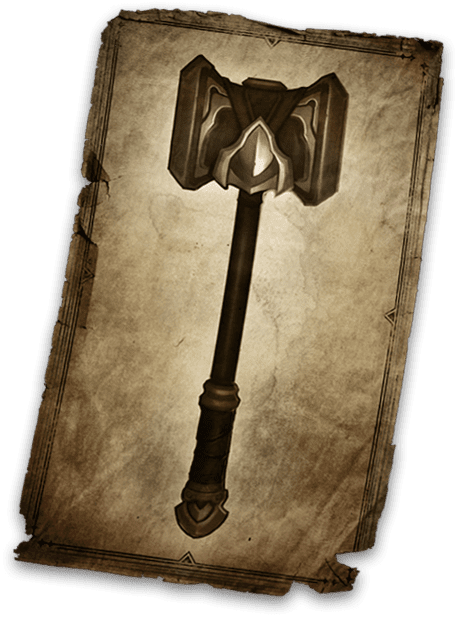 Journeying through Runeterra, she uncovers a number of would-be wielders, but never suspects the hammer might have found the right person already. The power of the hammer, the responsibility of her mission. And a whole swath of new abilities to show off her true strength. 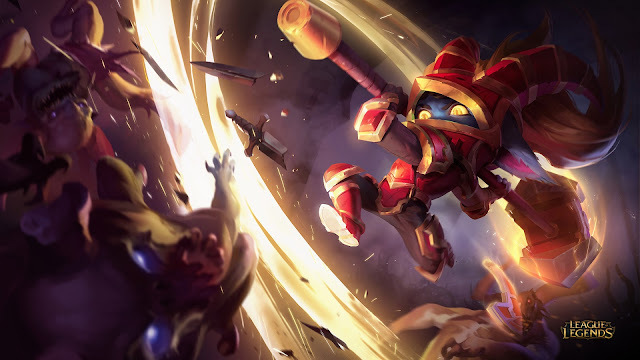 Poppy’s kit’s designed to show off her might despite her diminutive stature; whether peeling for your allies by chaining CC like Hammer Shock and Heroic Charge, or plunging into the heart of battle to separate a carry from the crowd, Poppy shows that sometimes all you need in your toolbox is a really big hammer. Every several seconds, Poppy throws her buckler as her basic attack, gaining range and bonus magic damage. 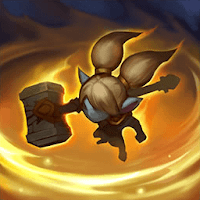 Once thrown, Poppy can pick up her buckler to gain a shield, but if an enemy walks over her buckler, they’ll temporarily destroy it. 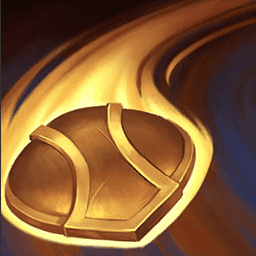 If Iron Ambassador kills the target, the buckler returns to Poppy instead of falling to the ground. 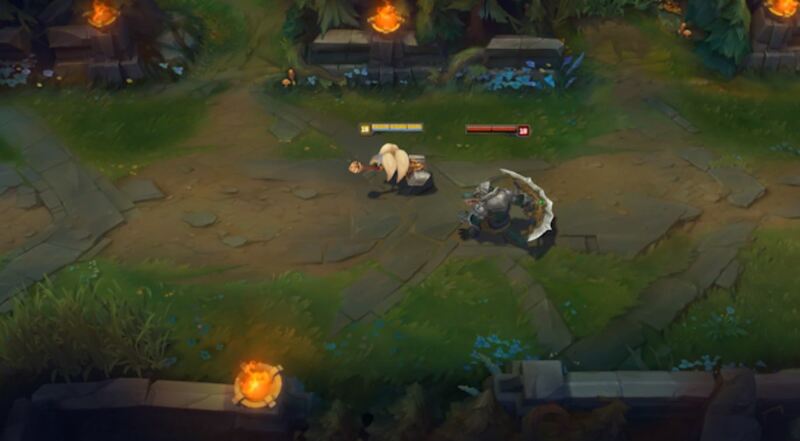 Poppy smashes the ground, dealing damage and slowing enemies in a small area. After a moment, the crushed ground erupts, dealing the same amount of damage again. Passive: Poppy gains bonus Armor and Magic Resist. This bonus is doubled if Poppy is below 40% health. 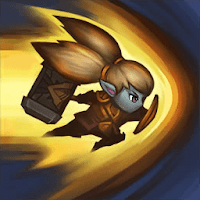 Active: Poppy gains Movement Speed. While Steadfast Presence is active, she creates a magic barrier around her, stopping enemy dashes and dealing magic damage to enemies. 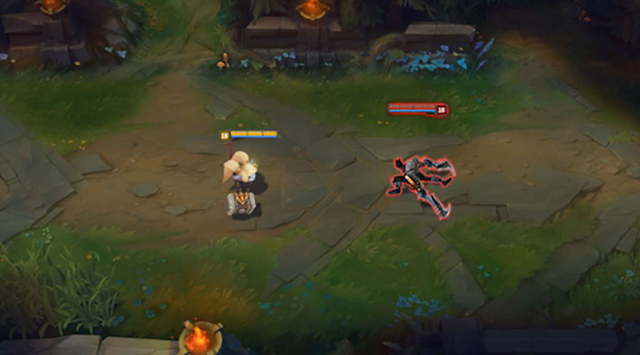 Poppy tackles an enemy, dealing physical damage and carrying them forward. 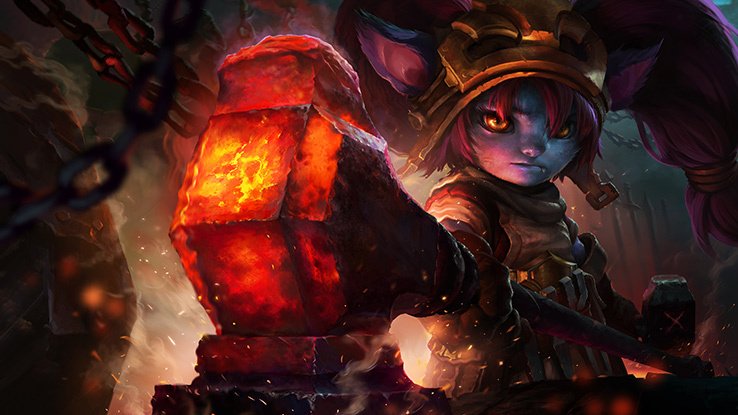 Poppy deals additional physical damage and stuns the enemy if they collide with terrain. Poppy charges up her hammer for a mighty blow, slowing herself as she winds up. With the second cast, Poppy unleashes a massive hammer smash, creating a fissure that deals damage and knocks back all enemy champions in a tiny area an enormous distance towards their base. The fissure length and knockback increase with channel duration. 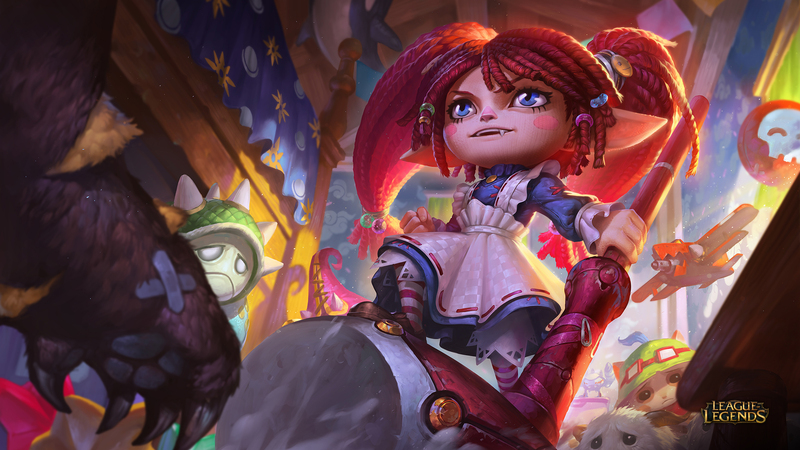 With a suite of potent CC, Poppy can combo her abilities to win trades and build towards her first major power spike with a completed offensive item. When she can set up her opponent near a wall, it generally means bad times ahead for the unsuspecting victim. Using Heroic Charge to stun the enemy champion against the terrain, she sets up both hits from Hammer Shock, dealing a burst of damage and leaving them open to additional basic attack harass. While Steadfast Presence will often be used in team fights to keep opponents from diving her squishier allies, during laning, Poppy can use her W to keep enemies with dashes from evading the heavy end of her hammer. Careful management of her passive is also essential to success in lane. Careful management of her passive is also essential to success in lane. You can use your buckler to last hit minions, trading basic attacks with your opponent because of your shield when you automatically get the buckler back. Keep in mind that if the buckler hits the ground, you can pick it up for the shield, but if your opponent runs over it, they’ll crush it out of existence (or at least until your passive comes back up). 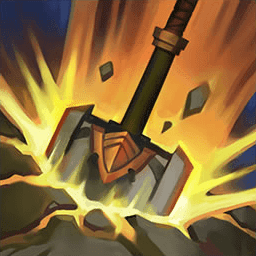 That interaction can turn into a mindgame with the opposing champ, because when you use the ranged attack for a bit of poke, you can set up Hammer Shock when they go to stomp on your buckler to fire both hits of the Q off. Unlocking Keeper’s Verdict at level six opens a number of new options for Poppy’s dueling potential: Quickly activating the ult without channeling simulates a souped-up Alistar Pulverize, while a fully channeled Verdict can even up a 2v1 or turn the tide entirely with jungle support. And don’t underestimate the length of the knockback: Battering the enemy laner with a fully charged ult just as your wave is about to hit their tower means they’ll miss a ton of experience and gold. Creeping around a forest crowded with monsters is considerably less frightening when you’rewielding a giant mallet. Creeping around a forest crowded with monsters is considerably less frightening when you’re wielding a giant mallet, and the Keeper of the Hammer is more than capable of heading into the jungle, harvesting gold from camps and ganks. The tight confines of the jungle paths keep her well-stocked on walls to heroically charge into should the opposing jungler wander in unwarily. Her innate tankiness and strong trading potential makes her potent in woodland duels, while her considerable crowd control makes the featherweight fighter a terror during attempted ganks. 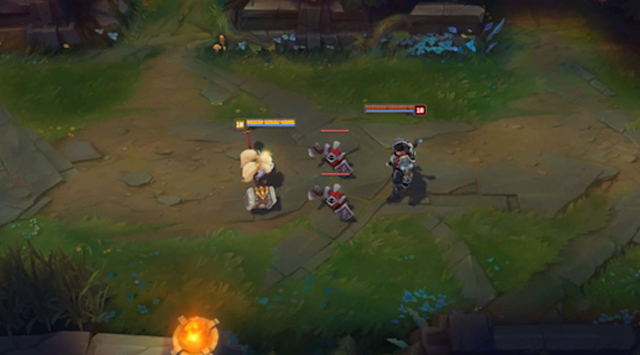 Setting up a Keeper’s Verdict while hidden inside the brush can dramatically turn the tide when counter-ganking, because she can near-instantly transform 3v2s and 2v1s into a numbers advantage for her team. When Poppy heads into the jungle, having allies who can help speed her up or combo with her crowd control will make for more effective ganks, but the tiny tussler is designed to be a powerful roaming jungle in her own right. As enemies acquire more armor and health, Poppy smoothly swaps roles to take on the responsibility of keeping her friends alive. 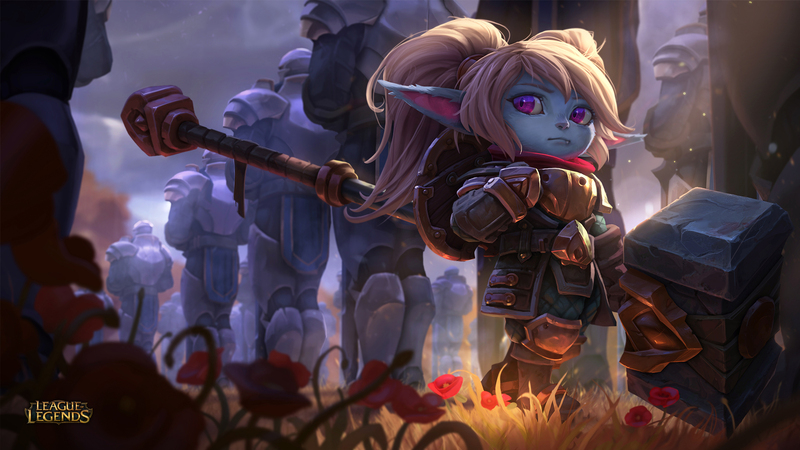 When it’s time to transition to more teamplay, Poppy joins the frontlines as a strong tank. With the passive stats from Steadfast Presence, she’s surprisingly durable while still capable of outputting damage in the right situation. 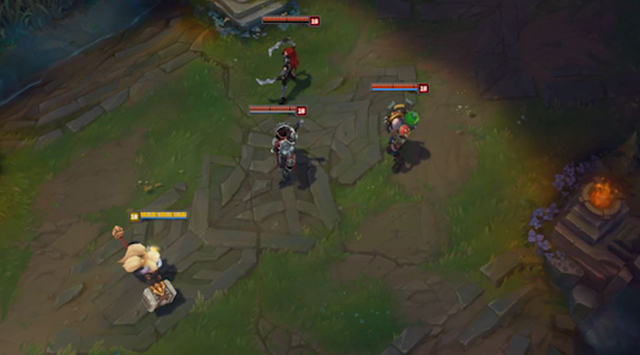 In early mid-game teamfights, Steadfast Presence’s active effect will keep the backline from using dashes to flee as her team collapses on them. A well-timed Keeper’s Verdict can turn a 5v5 scrum into a 5v4 slaughter, but she’ll have to pay attention to enemy crowd control. Because Keeper’s Verdict is channeled, it can be interrupted by opposing champions. As enemies acquire more armor and health, Poppy smoothly swaps roles to take on the responsibility of keeping her friends alive. Steadfast Presence stops enemy assassins from diving (as long as they don’t use blinks--but blowing their Flash might still be worth, depends on /all chat) while the threat of Keeper’s Verdict will have even frontline tanks concerned they might be taking a trip back towards their fountain, far away from the fight. One trick with Keeper’s Verdict is that the knockback effect is actually a very small AoE, not single target. If you can get the enemy team closely grouped together (with Orianna’s Shockwave, perhaps), you could potentially knock more than one of them out of the fray. Then your team can either chase the weakened foes down, or secure one of those nifty objectives strewn about the map. 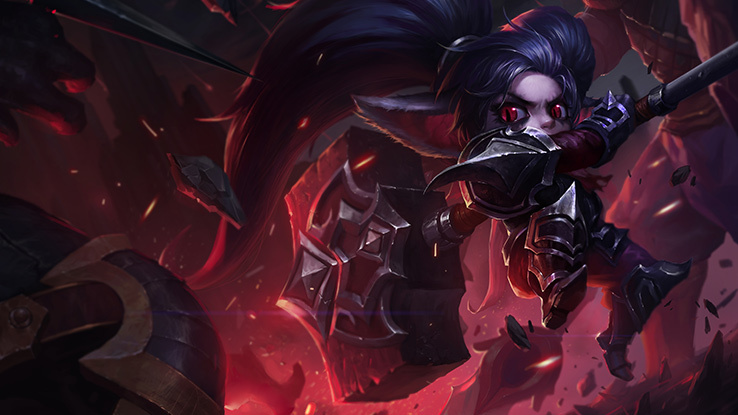 Morg can tee Poppy’s targets up with long-duration Dark Bindings, turning enemy champions into enticing nails for the pint-sized pulverizer to pummel. But we do want to point out that while Poppy does mostly synergize well with folks like Morg and Amumu, Keeper’s Verdict is sometimes less a hammer smash and more a double-edged sword slash. In teams that want to keep enemies nearby for hugs and wombos, Poppy can get carried away...erhm...carrying away opposing champions with Heroic Charge and Keeper’s Verdict. Poppy specializes in peel, and works perfectly in team compositions designed to protect an ooze-vomiting, arcane-barraging void puppy. She can keep diving juggernauts and stalking midlaners from closing on her ally, while saving her ultimate peel for a hypercarry-saving mallet slap that flings the erstwhile assassin flying off over the horizon. Not only is J4 one of the best examples of the kind of guy Poppy figures should wield the hammer, they also have great synergy in teamfights and top lane ganks. The terrain created by Cataclysm is fantastic for charging heroically into, but J4’s knockup E-Q combo can also help Poppy land both hits of a Hammer Shock. Knocking a would-be assassin a mile back towards his base is all well and good, but it doesn’t do a whole lot against someone who can return right where he was with the click of a button. 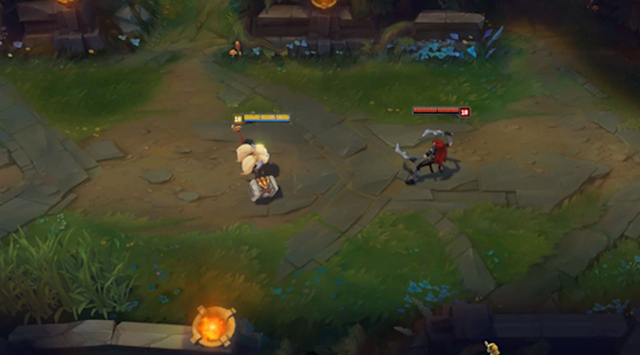 It doesn’t help that the second part of Ekko’s Phase Dive is a blink, so he can bypass Steadfast Presence en route to smacking someone with his bat. 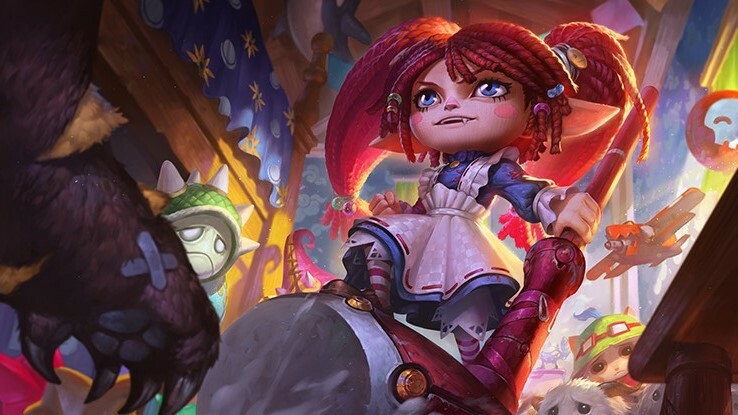 Add in his percent health damage and ability to maneuver out of her Heroic Charge hotspots, and you have a recipe for a champion Poppy’d rather not see suit up against her. 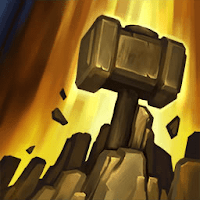 Both Janna’s Howling Gale and Monsoon can interrupt Keeper’s Verdict, and generally speaking the Storm’s Fury is more than capable of keeping Poppy away from targets she’d prefer thumping with a giant hammer. Because Poppy lacks a real gap-closer, Janna’s extra movement speed from Tailwind doesn’t do the yordle warrior any favors either. 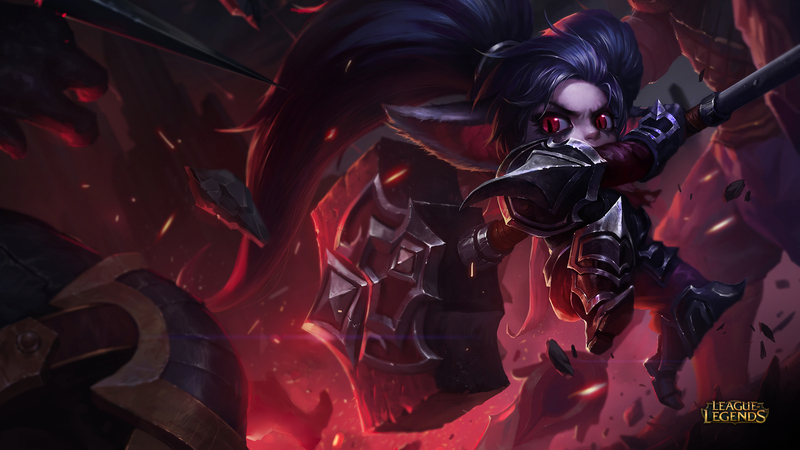 Irelia hits Poppy where it really hurts: right through Steadfast Presence’s bonus resistances in the form of true damage. While Irelia can’t Blade Surge through Poppy’s W active, she can stand toe-to-toe with the Keeper of the Hammer and trade basic attacks. Having extra armor and MR below 40% health is normally enough to keep Poppy in the thick of a slapfest, but true damage ignores those fancy numbers, leaving Poppy in a dangerous spot. Let us know your thoughts on the tiny champion packing League’s biggest wallop in the comments below!" For those interested, Riot Avari has shared 1920 x 1080 version of each Poppy splash  !